Hello Women in Travel Summit attendees! 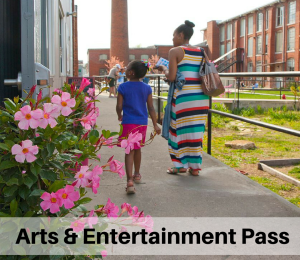 The Huntsville/Madison County Convention & Visitors Bureau in partnership with the U.S. Space & Rocket Center is excited to give away a two-person family Space Camp experience to one lucky #WITS16 attendee. Read below to learn about how you can win! At #WITS16, chances are you&apos;re going to run into Huntsville, Alabama. Whether it&apos;s seeing folks from the Huntsville/Madison County CVB, TOPPS the astronaut, representatives from the U.S. Space & Rocket Center, special surprises in your welcome bag, giant inflatable rockets or free t-shirts at the Huntsville booth, the Rocket City is excited to have a big presence at this year&apos;s WITS. When you see something or someone representing Huntsville, snap a photo and share it on Twitter using the hashtag #iHeartHsv. We&apos;ll be keeping track of your posts and awaiting them eagerly. On Sunday, March 20th at 1p.m. PST, we&apos;ll pick one of the most creative posts and give away a free Space Camp experience, courtesy of the U.S. Space & Rocket Center. This social media contest will take place on Twitter only. Curious about what we&apos;re posting on all of our social media channels? Check out our Social Media Station. You can tweet a Huntsville-focused picture starting on Friday, March 18th and all the way up until Sunday, March 20th at noon PST. 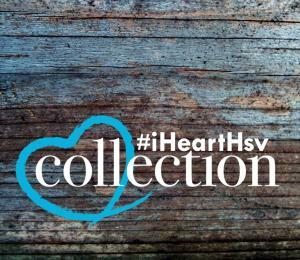 We&apos;ll announce the winner at 1 p.m. PST on the 20th via Twitter and the hashtag #iHeartHsv. We are excited to share the Rocket City with you! Space Camp isn&apos;t just for kids, after all. Drawing international fame, Space Camp continues to be one of the most popular reasons many visitors travel to Huntsville, Alabama for the first time. That comes as no surprise given our storied past with America’s space program. Space Camp has been the launchpad for many careers in aerospace and science, from astronauts to engineers. Space Camp is an integral part of the U.S. Space & Rocket Center and was designed to inspire and motivate youth to push the boundaries of human exploration just as generations before them did. Space Camp is internationally popular with youth and adults, with participants from all 50 states and more than 60 foreign countries. Learn more about Space Camp by clicking here. Blog post: Dear WITS: Enjoy these Huntsville treats on us! The prize does not include travel to Huntsville. Must be a #WITS16 conference attendee to win.